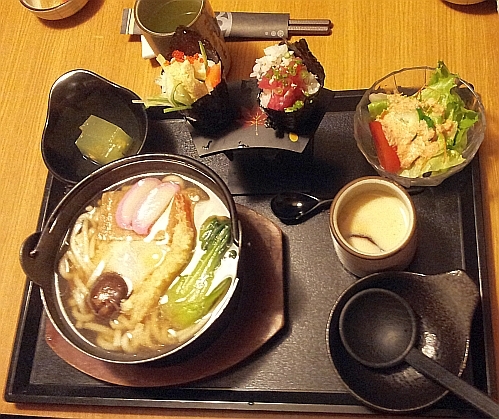 On Sunday we went to Miraku Restaurant at G Hotel to have lunch. Kobe Beef - 1 piece for each of us. Tender and creamy from the marbled meat. I like to eat tempura too. good for you because cows suffered a lot when slaughtered. Tried it once a long time ago when I went to Japan, a tourist attraction at the time - they said they feed the cows beer and that was why the meat was so nice and tender. 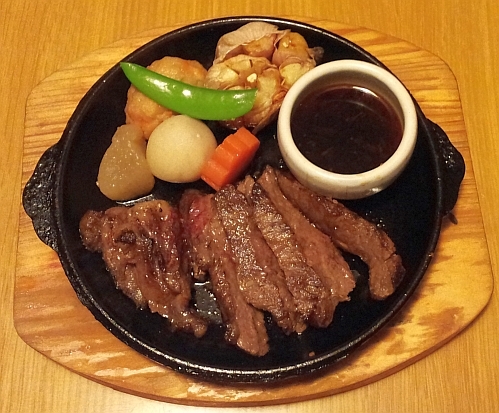 Now, everyone's talking about wagyu beef - never tried. kobe beef is more premium than wagyu beef so since you have tried kobe beef then no need for wagyu beef. Those are fab! I also got that stuff when we visited Laos in my indochina travel! What i love about that kind of stuff is that they serve food big, compare here in my own country that stuffs are served small! This is really awesome! set meals here usually have many items. Wow. I must taste kobe beef, at least once. 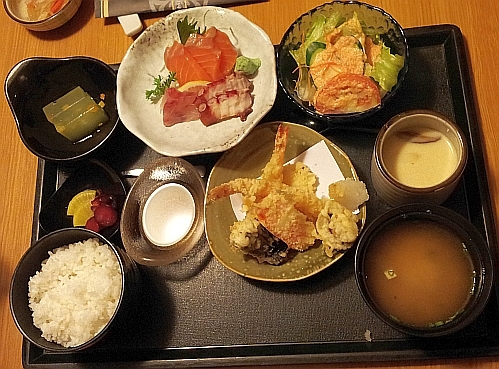 Everything looked so good and sumptious, hard to choose what to eat. go kobe eat kobe beef is fresher. 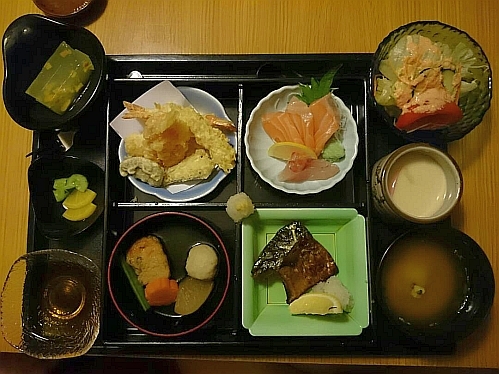 you have eaten this in Japan! i like all of the above! Wahh kobe beef. 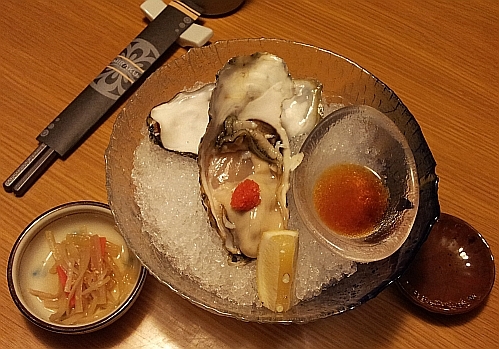 That oyster also looks very high-class. the oyster tastes very fresh. your brother and you would love it. Oh wow Kobe beef! I only want that. Drools! Haha. 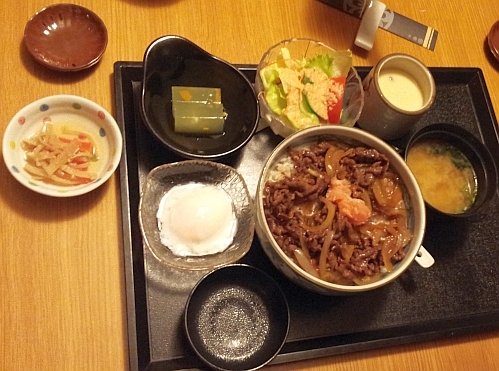 I seldom eat beef but am curious about the tastes of Kobe Beef and Wagyu Beef. I could not tell the big difference. I must go and eat again to taste. 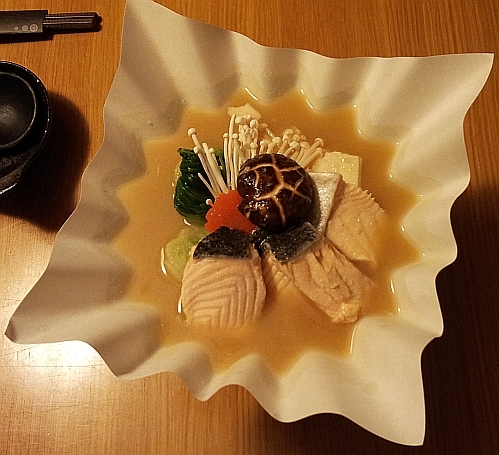 The Salmon in Paper Pot is so beautiful like a Ikebana Floral display. you must go try them in Japan.